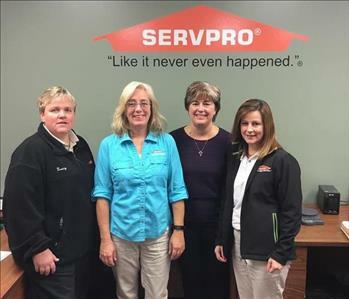 SERVPRO of South & East Stark County takes great pride in being a part of the Louisville, Alliance, Navarre, Brewster, Waynesburg and surrounding communities. We proudly volunteer yearly at the Jim Fish Memorial Golf Scramble with the Alliance Chamber of Commerce. We gather gently used coats, gloves and hats for our local “Coats for Kids” during the winter months. SERVPRO of S&E Stark County wants to do our part to ensure that our communities be the best it can be by helping those less fortunate and keeping the area safe.